E is for Emerald | stesha rose. skirt (here) c/o chicnova // top (similar) & tights (here): Forever 21 // scarf (similar): H&M // shoes (similar): Charlotte Russe // watch (here) c/o LuLu*s // bag: LA Fashion District // lips: MAC "prrr"
Two words that I am excited to say today is.... It's Friday! I could scream it from the rooftops 1. mostly because I have friends from Canada coming to town this weekend for a fun filled sports time, & 2. because I have the best family photo session today that I have been waiting all fall for. One of my fav little families will be prancing about in their rain boots & umbrellas this afternoon! It will be the 3rd year in a row for the little ones, it will be the best!! I was in the shower the other morning thinking of what I could wear for a comfy yet classy look for my busy day. I love this emerald green skirt from chicnova in the summer and I loved it so much that I had to find a way to transition it for these cooler months. I pulled out my all black turtle neck (my mom will kill me, I always make fun of her "grandma" turtlenecks) and added my scarf to modern it up a little. I must say this has been one of my fav looks of the fall/winter yet. I just may wear it weekly..... is that okay? Get the look above, I know you want it! Love this! Leopard goes so well with emerald! Great look! The emerald pops and it looks great with leopard. This look is fabulous! 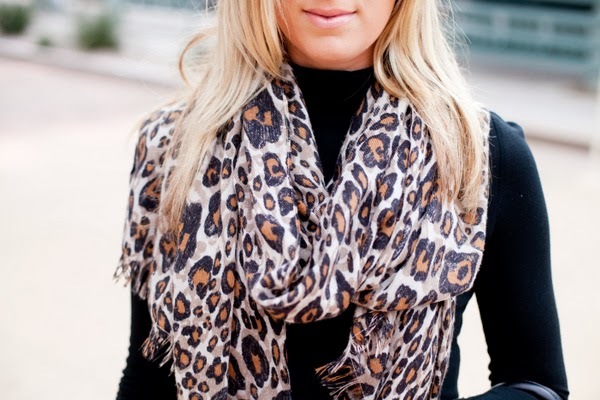 The green against the leopard print is perfection! This is one of the easiest outfits to put together when you're in a rush. Top, skirt, tights, scarf, boots, done! So pretty!! I love this cute outfit and I love the color of that skirt, it's definitely your color!! This outfit is so pretty! I love it! Loving the emerald and leopard! 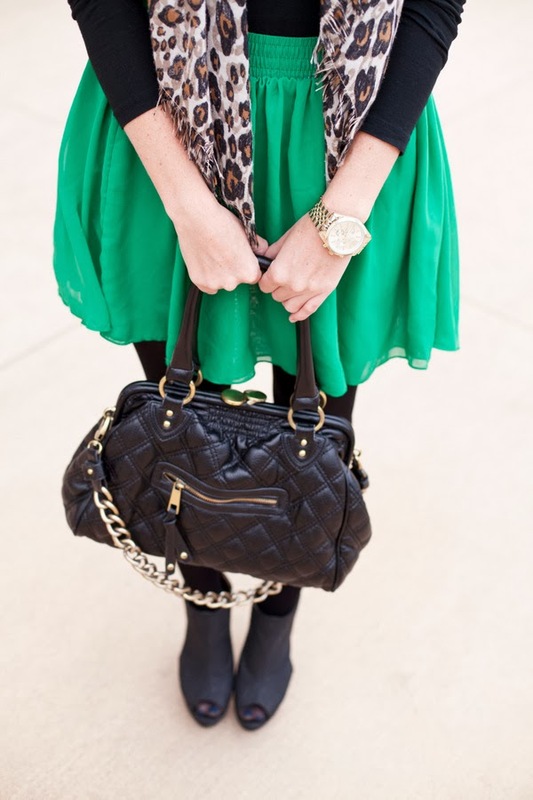 Love the green, black and leopard combo! Such a cute look! Have a great weekend! Love that skirt, the color is so pretty!